"The horses and swords of Bannu are remarkably good; and the people are exceedingly brave and bold. They are Shitaks, the descendants of Sharaf-ud-Din, alias Shitak, son of Karlarnaey". In 1822 Ranjit Singh began his plan to include Bannu in the Sikh empire. Ranjit Singh overran the Marwats and made occasional incursions on the fortified villages of the Bannuchis. In 1823, the Sikhs crossed the Indus, marched through Isa Khel and Marwat without opposition and and pushed on to the outskirts of Bannu. After a short stay, they returned without establishing a garrison. From 1823 to 1845, about nine times the Sikh army invaded Bannu. The Khalsa force commander used to come with a large Sikh army , which never entered the valleys without fear. It generally succeeded in squeezing out of them considerable revenue, yet never quitted it without having suffered severe loss at the hands of some stout rebels. In June 1838, Shah Shuja Saddozai (grandson of Ahmad Shah Abdali) entered into a tripartite agreement with Ranjit Singh and the British government. Under article I of this agreement, Shah Shuja ceded Trans-Indus region (including Bannu) to the Sikhs. Ranjit Singh lost no time in attempting to occupy this new territory. Ranjit Singh demanded one lac rupees as tribute from the Bannuchis. Elsewhere in the region he had met with little opposition ; but in the Bannu valley he was forced, after several efforts, to fall back with the expedient of his predecessors and to content himself with the periodical despatch of a force to devastate the country and carried off whatever booty could be secured. Malik Dilasa Khan was born in 1777 AD in the house of Khattak Khan. Alam Khan and Ghazi Khan were his grandfather and great-grandfather respectively. Malik Daud Shah, the ancestor of Malik Dilasa Khan, was third in lineal descent from Suranaey son of Shitak. Dilasa Khan belonged to village Daud Shah. It is his indefatigable struggle against the Sikhs that brought Malik Dilasa Khan to the limelight and in the history of Shitaks his name is mentioned with great respect and reverence. 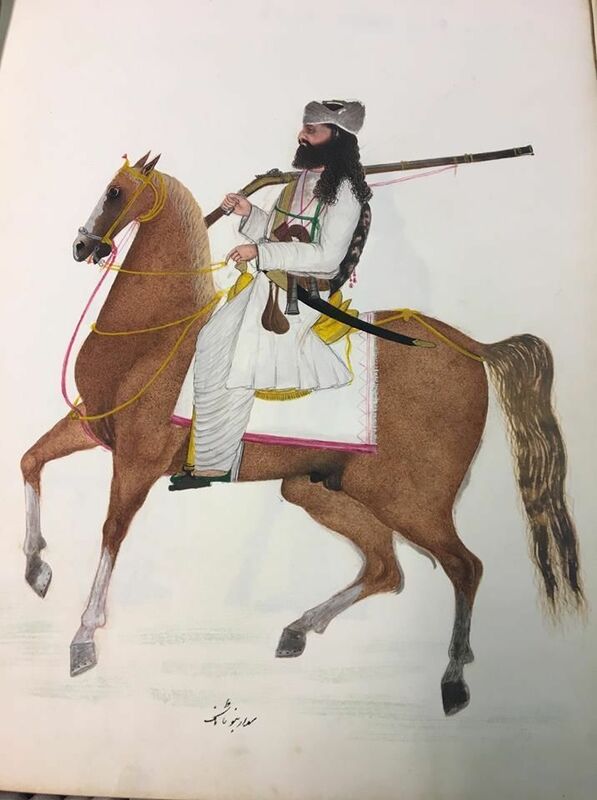 In 1847, prior to the battle of Khyber that was fought between Dost Muhammad Khan of Kabul and Sikhs, a friend of Dost Muhammad Khan mentioned the name of Dilasa Khan to the latter and asked him to send for him as he was the fiercest enemy of the Sikhs and would be of great help to the Durranis. Malik Dilasa Khan fought a number of battles against the Sikhs in and around Bannu however, his contemporaries mention only two battles in some details. In 1826 the Sikhs led by Kanwar Karak Singh , visited Bannu for the second time for revenue collection. Malik Dilasa Khan refused to make the payment and raised a call for jihad. A few Maliks joined him. A fierce battle was fought near village Gul Hasan Amandi wherein Malik Dilasa Khan was defeated . He took refuse with Dawars in the Tochi valley. If I am martyred, God will give me paradise. All the world is fleeting, as we are born from earth." The Sikh force came and pitched against Dilasa. Day and night, oh friends! they fought without ceasing. It was a great earthquake. Boys and girls were kept awake. Thanks be to God that Dilasa came out with honour. He fought with the infidels, he became a Ghazi. All the people praise him; from sins he has been cleansed. The Houris of paradise have made him their own - it is a truth from the book. He put the Sikhs to flight. Where will they flee religionless? Soon after Khalsa army under Kunwar Nao Nihal Singh and Raja Surjeet Singh reached Bannu. They besieged Malik Dilasa Khan's fort. Most of the Bannuchi Maliks abandoned Malik Dilasa Khan. The Sikhs massacred a nearby village where a cow had been slaughtered. They cut the hands of all those who survived the killing and burnt the village. They extracted about eighteen thousand rupees from Malik Asad Hasan Khel who had to sell his entire household to meet the demand. 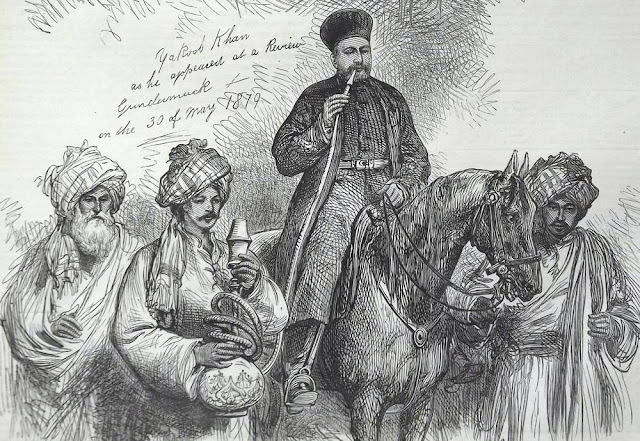 Sir Herbert Benjamin Edwardes, who came in very intimate contact with the Shitaks as a tribe and seem most of their mid-nineteenth century Maliks and Khans, did not treat them favorably except Dilasa Khan. Edwardes had heard a lot about him from the Sikhs who had suffered at the hands of Dilasa Khan and from the commoners who supported the latter. Once he asked Malik Mir Alam Khan of Ahmadi Tappa as to who Dilasa Khan was? the latter replied and Edwardes quotes. "Dilasa Khan is a sentry"
"Though, the Sikhs are afraid of Dilasa Khan"
For the Shitaks, Edwardes and Sikhs, both were evil ; the only difference was the Shitaks considered the latter the bigger evil. Later , Dilasa Khan ultimately chose the lesser evil and met Edwardes who kept him in his camp as a guest. On day, Shamsher Singh, to irritate him sent his men to Dilasa Khan's Tappa and that very night Dilasa Khan who was about seventy years old, made his escape good to Dawar valley and never returned to his country. Cavalryman from Bannu, c.1830-40 AD. The portrait is from album of paintings held in the British Library.